For her final series of paintings in The Art of Lent leading us into Holy Week, Sister Wendy chooses the theme of ‘Love’. And, whilst the theme seems an obvious choice, the artworks she selects for it are, once again, unexpected. The series begins on Palm Sunday with a quote from the Gospel of John: ‘No one has greater love than this, to lay down one’s life for one’s friends’ (John 15:13), but ideas of cosmic sacrifice and divine self-giving seem – at first glance – to be absent from the three paintings which follow. Instead, Sister Wendy guides the reader toward this transcendent love through three moments of human companionship: three intimate, personal instances of loving relationship captured by an artist’s brush. As Marion observes, trying to define love, or contain it within abstract concepts, is an impossible task. Love is an elusive, fluid, and subjective notion which will always slip away when we try to pin it down. In recognition of this, Sister Wendy looks at love through images in which it has become momentarily palpable and recognisable. The word ‘love’, like ‘God’, is vague and pluriform, yet it can open a ‘space for exploration’ that is meaningful and valuable. We are invited to contemplate a trio of paintings in which love is powerfully present: three scenes in which the meaning of love is fleetingly comprehensible. 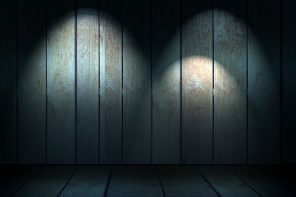 These provide a ‘space’ suffused with a relatable, humane love for the viewer to explore, and they invite us to cultivate a deeper understanding of Love itself. The commitment of love is a choice which binds us to another person and leads us to express his or her significance within our own lives. 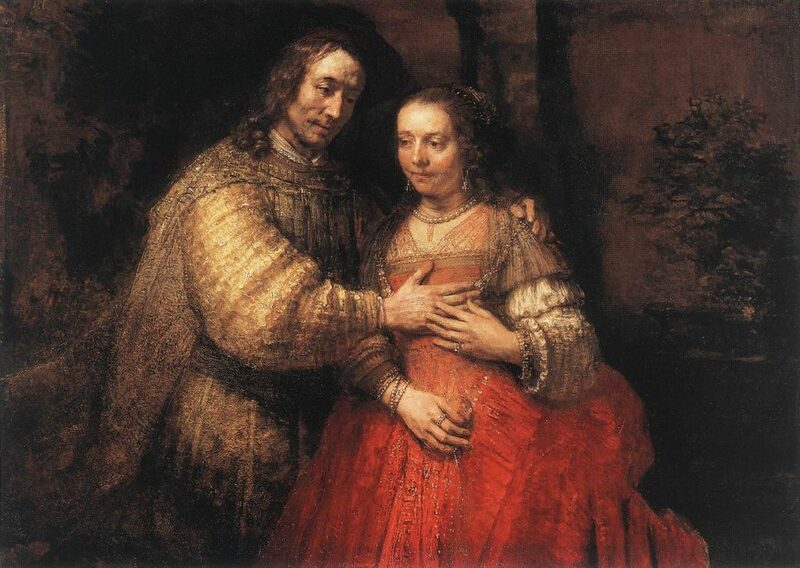 Sister Wendy uses Rembrandt’s The Jewish Bride to explore love as ‘reverence’: an ‘attitude of tender humility’ and ‘the deepest form of respect’. Where the lovers’ hands meet on the bride’s chest, this attitude is made tangible, as the attentive focus of their physical embrace speaks volumes about their feelings toward each other. Rembrandt captures a serene, peaceful passion through the tenderness of this simple gesture. 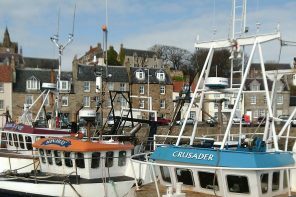 But what can this calm display of reverent respect tell us about the drama of the Cross or the God of Love? Sister Wendy has an answer to this question. She describes the couple’s expressions as ‘infinitely moving’, suggesting their eyes are filled with ‘wonder’ at the ‘implications of their blessedness’ (p. 82). Whilst their pose and proximity show an enjoyment of one another’s presence, the eyes of bride and husband look beyond their particular love. Their gaze reminds the observer that ‘everyone who loves is born of God and knows God’ (1 John 4:7). Rembrandt demonstrates that even when a vision of love is so intently focussed on the richness of a single bond, it can also reflect something of the ‘author of love’. 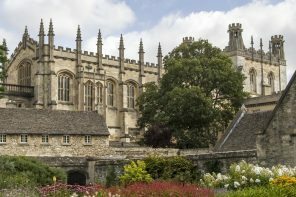 Rowan Williams reflects that ‘knowing ourselves as loved creatures is the only way of knowing ourselves truthfully’. The beauty of Rembrandt’s painting reveals how mutual human reverence can also provoke wonder at the love shown to us by our divine author, helping us to know ourselves as created, blessed beings. Pain, frustration, and sadness are also an integral part of love. Thomas Gainsborough’s Chasing the Butterfly reminds the viewer how easily the joy which love promises can slip through our grasp, leaving only regret and nostalgia. 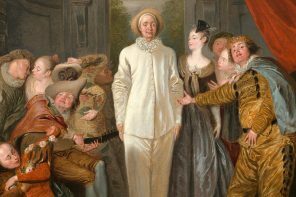 Sister Wendy brings Gainsborough’s personal life into her interpretation of the painting, seeing within it his daughters’ struggles to find happiness, and a ‘sad foreknowledge’ of the difficult lives before them (p. 84). There are intimations of anxiety and suffering in the two girls’ faces, and the aching gap between the small, grasping hand and escaping butterfly is agonising to observe. Parental love is a complicated, confusing interplay of hope, pride, apprehension, and devastation. It is not a simple, settled reality but an ever-changing challenge that is endlessly rewarding and relentlessly punishing. Sister Wendy suggests that parental love may be both the ‘purest’ and ‘most painful’ form of human love (p. 84). As a child, you gradually become aware that you can make your parents proud, bringing new meaning into their lives, but that you can also cause them to feel crippling disappointment and gut-wrenching anxiety. By marrying joyful, youthful hope with darker depths of despair, Gainsborough captures these strange contradictions. And, as God’s love was revealed to us through a father’s sacrifice (1 John 4:10), Gainsborough’s picture of purity and pain might also offer a human echo of this definitive, redemptive act of love. Love is always about someone else. In Camille on her Deathbed, Monet creates an ‘act of egoless activity’ born out of ‘[u]tter concentration on the other’ (p. 86). Again, Sister Wendy has chosen a painting with a poignant, unashamedly human background. Here, the premature death of Monet’s wife Camille, which left the artist ‘bereft of her companionship’, inspires a grief-stricken shroud of shaded blues. We see Camille slowly fade into the swirling blanket of colour, her face barely distinguishable from the surrounding brush-strokes. It is as if Monet is desperate to use his prodigious talents to hold on to Camille, allowing attentive, unwavering artistic focus to preserve her presence. Theologian Janet Soskice insists that humans can only truly ‘be’ in relation to others. Monet externalises his sorrow at the loss of the lover who was integral to his own selfhood, maintaining his commitment to her through his art, even after she has left him. ‘Love loves love’,  and this painting conveys Monet’s ardent appreciation of the friendship, support, and love Camille has given to him. ‘Death of a beloved’, Sister Wendy writes, can feel like ‘we are being abandoned’ (p. 86). It seems as if something utterly fundamental to our existence has been torn away: an affront to how things should be, which disregards love. 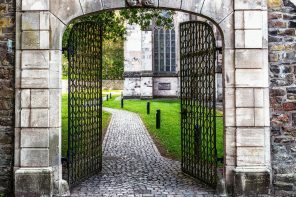 Yet as Sister Wendy leads us toward Good Friday and the crucifixion of the Beloved Son, we also see a hint of how love can endure, and even overpower, such devastating loss. Life can be prolonged and even resurrected in art, memory, and prayer, and the promise of what is to come can be protected. When we study this painting, Monet’s love for Camille remains palpable today, like the ‘greater love’ shown by the Son who gave his life for his friends. Rembrandt van Rijn, The Jewish Bride: https://commons.wikimedia.org/wiki/File:Rembrandt_-_The_Jewish_Bride_-_WGA19158.jpg. 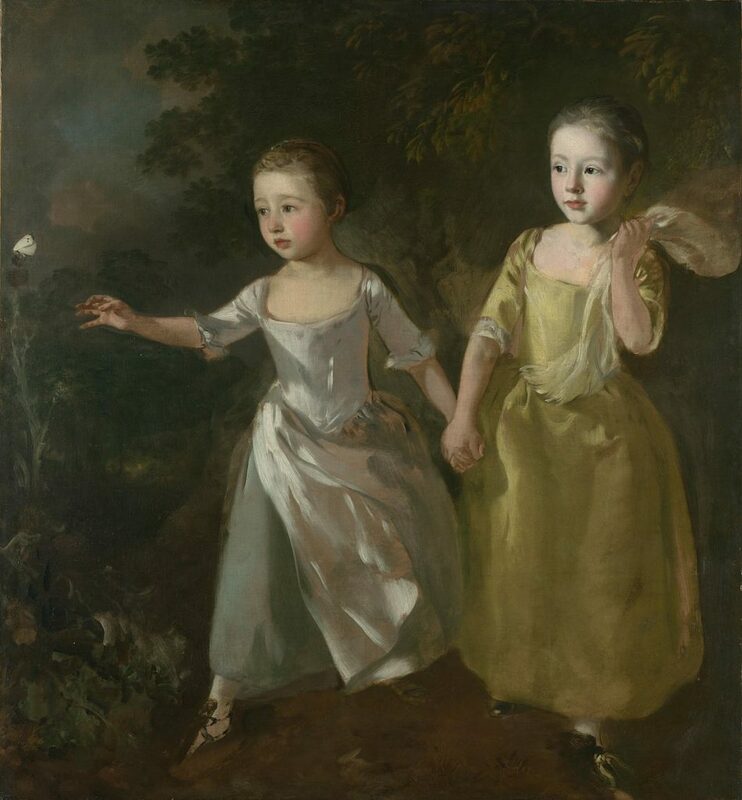 Thomas Gainsborough, Chasing the Butterfly: https://commons.wikimedia.org/wiki/File:File-Gainsborough_-_The_Painters_Daughters_Chasing_a_ButterflyHD.jpg. 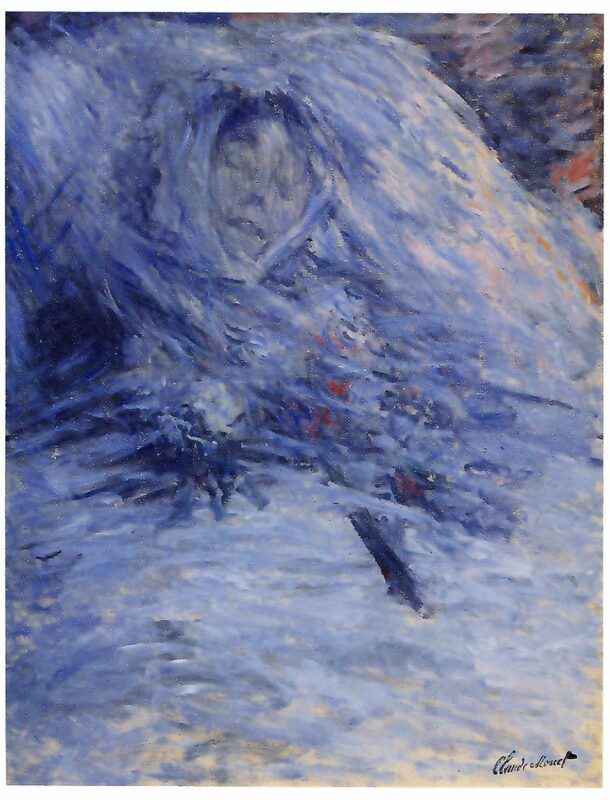 Claude Monet, Camille on her Deathbed: https://commons.wikimedia.org/wiki/File:Monet._Camille_Monet_auf_dem_Totenbett.jpg. Jean-Luc Marion, Prolegomena to Charity, trans. Stephen E. Lewis (New York: Fordham University Press, 2002), 71. John Swinton, ‘Moving beyond clarity’, Nursing Philosophy, vol. 11 (2010), 231. Sister Wendy Beckett, The Art of Lent (London: SPCK, 2017), 82. 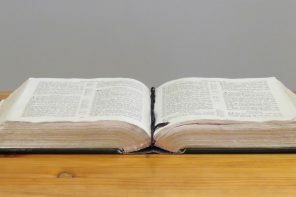 All subsequent references to The Art of Lent will be given in the main text. Walter Jeanrond, A Theology of Love (London: T&T Clark, 2010), 37. Rowan Williams, ‘Sapientia and the Trinity’, in Collectiania Augustinia, eds. B. Bruning et al. (Leuven: Peeters, 1990), 320. Janet M. Soskice, ‘Trinity and the Feminine Other’, in The Kindness of God (Oxford: Oxford University Press, 2008), 15-16. 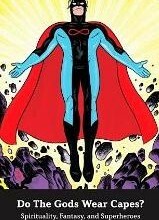 Williams,‘Sapientia and the Trinity’, 322-323.
Review: Do the Gods Wear Capes?